Why are we being invaded by June bugs in May? Why do some people get allergies as kids and outgrow them and some get them as adults? Do the kids just shed them onto some random adult? Can I find some obnoxious child to pass mine to? Why do those drug ads on TV tell us to talk to our doctors about their products? Do they think the doctors don’t already know about them? Besides, why would I want to talk to my doctor about ED drugs? How did women survive the heat back when they had to wear full-length dresses and all those other layers? No A/C and most of them couldn’t just lay around and fan themselves all day. What was the driver thinking when he passed 3 cars on a blind curve? I know what I was thinking coming the other direction. It’s weird how long it seems to take the brain to realize there is a car coming toward you and there’s nowhere to go. Why is the Store Director yelling (yes, really) at my Team Leader for not having enough people in the deli when she now has to live with the computer telling her who can work which hours? Why do I open my Xfinity newsfeed to see yet another story on one of the Real Housewives of Wherever and open my MSN newsfeed to see that 1400 Indians have died from the heat? Maybe because I was able to choose mostly foreign news sources on MSN? Why are they still heating our Receiving area? It’s in the eighties and humid; and all we do back there is unload boxes. Seems they could save some money there. Speaking of boxes – why do they tape them shut, then label them not to be cut open. Isn’t that what box-cutters are designed to do? Why is the bedroom in the northwest corner of the house 10 degrees colder in the winter and 10 degrees hotter in the summer? Why did the county put up a sign on a local road saying, “Road construction coming soon”? Like a movie trailer. Of course, one day the road was at a standstill while they paved it because no one knew “soon” had come. Totally unrelated observation: There was a man in the store today who looked just like the pictures I’ve seen of Rasputin – right down to the spooky eyes (my guy had less beard). We’ll never know, Cat, but I’ so glad you want to know. Excellent questions. 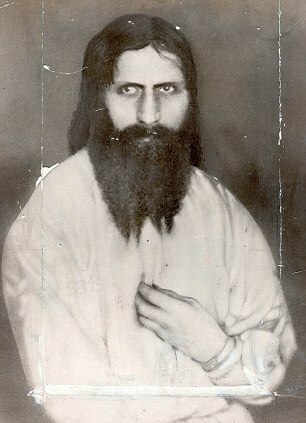 I’d try to avoid the Rasputin lookalike in the future. Very inquiring mind lol. Your observations are funny. I’d like to know about the NW of the house being 10deg cooler and hotter– science maybe? I’m not really sure. My guess is that the people who insulated the house didn’t do a very good job. My daughter swears it’s a ghost.